DMC is an innovative music star, motivator and philanthropist who has been breaking down cultural barriers for three decades. 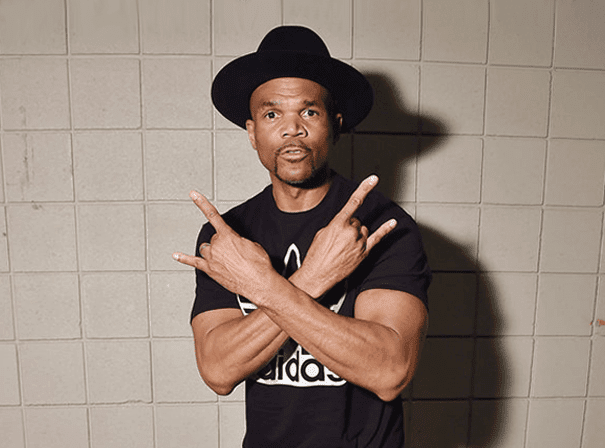 Born Darryl McDaniels, he formed the first rap group to ever grace the cover of Rolling Stone magazine, namely the legendary and Grammy nominated Run_DMC. With them he changed music and fashion history and had a huge influence on popular culture. In all his band has sold more than 30 million records and has had countless hit singles that are very much classic anthems to this day. These include the likes of ‘Walk This Way’, ‘My Adidas’, ‘It’s Tricky’, ‘It’s Like That’ and ‘You Be Illin,’ all of which he still performs with great gusto and passion to adoring audiences all over the world. For his efforts, in 2009 and as a member of Run-DMC, Darryl was inducted into the Rock n Roll Hall of Fame. Darryl is also an author who has put out graphic novels and his own well removed biography and has won Emmys for his documentary DMC: My Adoption Journey. From his own personal experiences he takes great motivation and in 2006 he co-founded the Felix Organization with Sheila Jaffe to provide inspiring opportunities and new experiences to enrich the lives of children who are growing in the foster care system. Despite all this he also manages to find time to put out new music such as ‘Flames’ and new album DMC: Dynamic Music Collaborations. A true music icon and giant of the rap and urban world, DMC is still a truly unique star.